A new University of Southampton study concludes that kiwi fruit appears to be a significant food allergen capable of causing severe reactions, particularly in young children with other allergic reactions. The study, which was funded by the Food Standards Agency (FSA), highlights the increasing incidence of allergic reaction to the popular tropical fruit. The research team believes that the increase in allergic symptoms can be explained by the demonstrable rise in the incidence of food allergy in general, combined with an increase in the consumption of kiwi fruit. The findings of this, the first, large detailed study specifically designed to investigate the clinical characteristics of kiwi fruit allergy in adults and children, demonstrate that the allergy can result in severe reactions, particularly in young children who suffer from other allergies. The research is due to be published in the July issue of Clinical and Experimental Allergy today (6 July). Although kiwi fruit has been recognized as a food allergen for over 20 years, clinical knowledge about the allergy has depended on reports of small groups and few studies have evaluated its clinical characteristics or evaluated methods of diagnosis, such as skin tests and double-blind food challenges. Kiwi fruit was first introduced into the UK diet in the late 1960s, and consumption has increased steadily since then, with over 31 thousand tons of the fruit being imported into the country in 2002. In the 1970s very little allergy to kiwi fruit was reported; however reactions were increasingly reported in the 1980s, predominantly in adults. It was not until the 1990s that kiwi fruit allergy was becoming more commonly reported in children and young infants. Dr Jane Lucas, a paediatrician and clinical research fellow at the University of Southampton commented: "The large number of self-selecting respondents to our study suggest that the allergy may be more common in the UK than previously recognised by the medical profession. Our findings clearly show that allergy to kiwi fruit is an important problem, with most severe reactions occurring in young children. It also highlights important features of the allergy which further our clinical progress in this field. There is now a need for additional studies to explain the apparent increasing prevalence of this allergy and to explain the differences between reactions in children and adults." Almost 300 people took part in the study by completing a self-administered postal questionnaire. Those who reported symptoms suggesting they were allergic to the fruit were invited to undergo clinical investigation of their reported symptoms. A total of 45 people over the age of six years took part in this phase of the research, selected primarily by their availability and motivation to attend the research centre. The study confirmed a definite allergy to kiwi fruit in over half of these patients. The age of patients at the time of their first reaction ranged from four months to 71 years, with 13 per cent reacting below the age of five years. Nearly three quarters of children of 5 years or less on the study had reacted on their first known exposure to the fruit in comparison with only a fifth of adults. The timing and severity of reactions was also examined. Sixty four per cent of all subjects reported suffering symptoms in under five minutes. Reactions included tingling and sore mouth; swelling of the lips, tongue and face; rash; vomiting and abdominal pain; and, in the most severe cases, breathing difficulties, wheezing and collapse. The most common symptoms were unpleasant itching and soreness of the mouth, with the most common severe symptom being wheezing. Severe symptoms were most likely to occur in young children. In addition, over a third of those who initially suffered a mild reaction subsequently had moderate or severe symptoms. Researchers at Southampton are careful to point out that this study has limitations, not least because all those taking part were self-selected volunteers who contacted the study with suspected kiwi fruit allergy. This may explain the greater number of adult females taking part, as well as a fairly high percentage of subjects with severe symptoms. The study is therefore unable to provide an estimate of the prevalence of the problem. As with all questionnaire studies, results will also have been affected by the participants' ability to remember accurately previous symptoms and attacks. The FSA is funding an extension of this study, using laboratory techniques in an attempt to explain the clinical findings. The researchers hope that this work will help to explain why children with the allergy often have severe reactions. 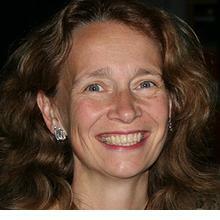 Jane Lucas is a Professor of Paediatric Respiratory Medicine at University of Southampton. Jane leads the national primary ciliary dyskinesia (PCD) centre in Southampton. Her respiratory research is focused on understanding the pathophysiology of PCD and improving management of patients with this disease. She also investigates the role of ciliated respiratory epithelium in disease and health, including the interaction between cilia and bacteria. Her allergy research includes the early life origins of asthma and allergy, identifying predictive markers of allergy severity, and the psychosocial aspects of food allergies. Jane’s programme closely integrates clinical service, research and education, and team compromises clinicians, laboratory scientists and social scientists. The study was carried out jointly by researchers from the University of Southampton's Allergy and Inflammation Sciences group and the Wellcome Trust Clinical Research Facility, Southampton University NHS Trust. The study was funded by the Food Standards Agency. The University of Southampton is a leading UK teaching and research institution with a global reputation for leading-edge research and scholarship. The University has over 19,200 students and 4,800 staff and plays an important role in the City of Southampton. Its annual turnover is in the region of £250 million.